SANTA MONICA, California â€” J.J. Abramsâ€™ rebooted Star Trek could hardly have been more successful with critics and the general public, but some Trekkers found the filmâ€™s script to be rife with plot holes that spoke more to convenience than good storytelling. via J.J. Abrams Comes Clean on Star Trek Coincidences, Sequel | Underwire | Wired.com. 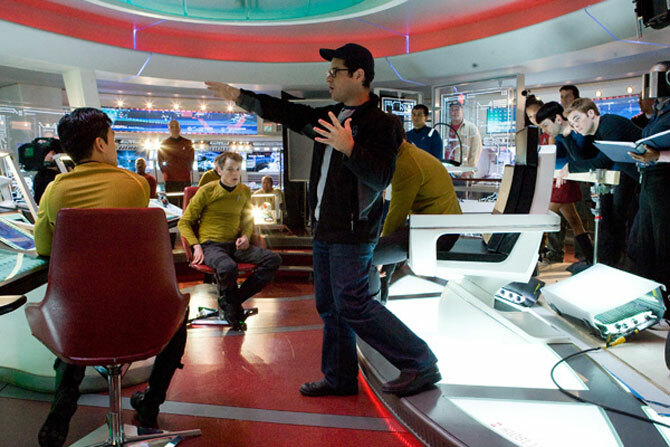 I think Abrams, Orci and Kurtzman all have a lot of potential. I also think that potential has not been tapped properly. Its like they tapped it with a crazy straw that’s got holes in it.